Teaching With Love and Laughter: Happy Fall / End of Quarter Sale! 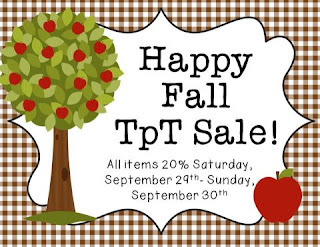 To celebrate the fall season and the end of the quarter over at Teachers Pay Teachers, I am having a sale at my store on Saturday and Sunday. Thank you, everyone, for being such dedicated followers. You keep me motivated every single day. Enjoy your weekend and happy shopping! If you are having a sale today and tomorrow, too, feel free to leave a comment here so we can all visit your store, too! 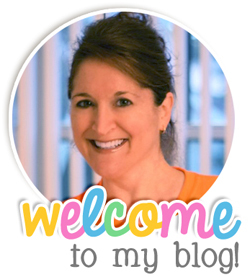 I'm having a sale at my TpT store & a Scentos giveaway on my blog! Yay! I entered your giveaway and would love to win! Thanks for giving us this wonderful opportunity! Hey, Vicky! Yes, I totally agree that this past quarter was the best of the three I have been a seller. I'm glad you had a great one, too! Now, let's see if we can top it this quarter. Good luck to you and thanks for stopping by!